Building the capacity of people with lived experience of homelessness. In 2016, four people with lived experience of homelessness worked with Lifewise to co-design and begin the groundbreaking Housing First programme. Through the co-design process, we drew in large numbers of the street community who had their voice heard in a meaningful way and wanted to become more involved. Building on that energy and enthusiasm, Lifewise provided peer support training for 14 people with lived experience of homelessness. In January 2017, Lifewise re-focused our homelessness services away from traditional service provision to concentrate on the evidence-based Housing First Model in tandem with peer support and community-led development. Eight are peer support and community development volunteers with the Merge Community team. We have now started implementing the Housing First programme in the city centre. This programme provides permanent housing for people experiencing chronic homelessness along with wraparound support. As of June 2017, 16 people have been permanently housed through this programme. The average length of time this group has been homeless is 16 years. The Housing First co-design process identified the need for the involvement of people with lived experience. This process also identified the vital need for community support and casework support to ensure people’s well-being. Volunteers who have experienced long term rough sleeping in Auckland’s city centre derive determination, drive, passion and confidence from this work. They form the Merge Community Peer Support Team, based from Merge Café (Lifewise’s social enterprise that provides 20,000 low-cost meals a year and a vibrant safe place for the whole community to connect). The Merge Community Peer Support Team provides guidance and advocacy to people in the homeless community through the Café. The team also support the Housing First programme with community-led development. They are working to develop alternative pathways and innovative solutions. 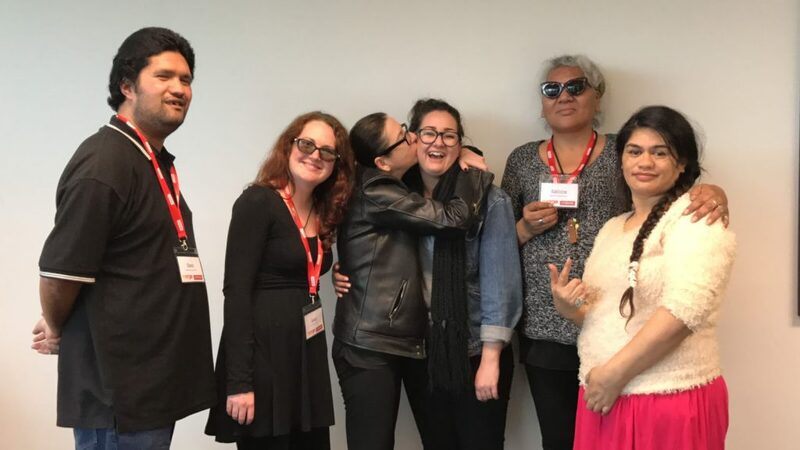 The Piki Project is a small social enterprise that harnesses the creative skills of the wider homeless community and the technology of the Unitec Institute of Technology to create piki. As part of the review of the Public Safety and Nuisance Bylaw, Auckland Council were eager to understand the perspective of those who beg in the city centre. For this reason, Auckland Council partnered with Lifewise and people with lived experience of the street to bring the voice of the street to decision makers. We used a co-design process to better understand the experiences of people who hustle in the city centre. Co-design is a person-centred process that acknowledges that people are the experts of their own lives. 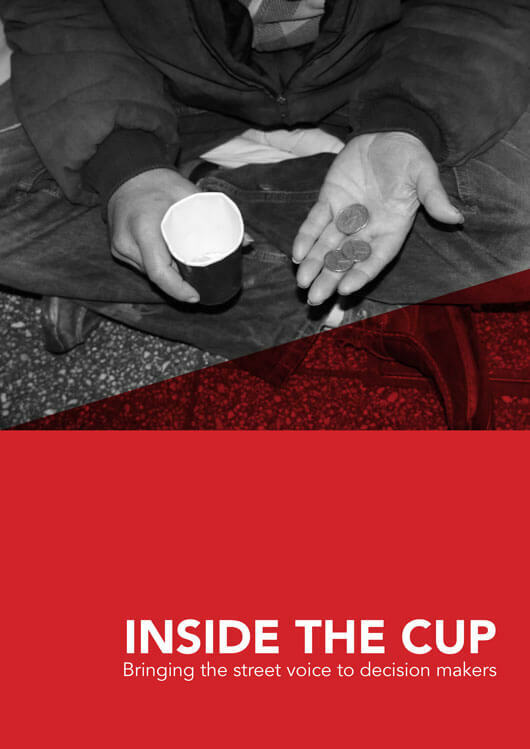 Click on the image below to download a copy of Inside The Cup.